Cuisine in Italy is equal to art. To get a real grasp of Italian culture, you must understand the Italian style of preparing and serving food and drinks. The Florence Cooking schools we’ll introduce you to are the best places to learn. Most dishes you can find on the menus at good Italian restaurants are nothing but real masterpieces. Have you ever tasted the world-famous tagliatelle al tartufo, ragù alla bolognese, melanzane alla parmigiana, or bistecca alla fiorentina? You can’t leave Florence without sampling all the best Italian flavors…and you (definitely!) can’t go back home without learning how to prepare the great classics of Italian cuisine like: spaghetti aglio olio e peperoncino, lasagna, pasta al pomodoro, insalata caprese, tiramisù, a good espresso or the real limoncello. And don’t get us started on fabulous Italian wines like Chianti, Barbera, and Lambrusco; or about Italian cocktails made with Martini, Campari, Cinzano, or Amaretto di Saronno. 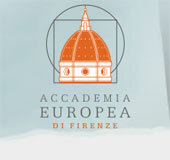 Enjoy the best Florence cooking class studies and…buon appetito! 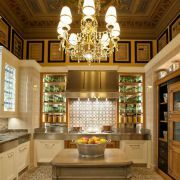 Desinare is an old-Florentine verb that means “to dine.” This contemporary, gourmet cooking school fuses culinary knowledge with and artisan style in a beautifully designed Tuscan workshop. They offer unique courses in cooking, wine, food photography, and table design, in addition to demonstrations, tastings, social gatherings, events, presentations, and a cookshop. Intensive, full immersion programs into the real Tuscan cuisine. Take courses in Florence by chef Marcella Ansaldo or discover the reality of Tuscan culinary tradition, traveling both on the mainland and to the pearls of the Tuscan Archipelago, enriching your knowledge with a unique experience. Learn from an Italian Master Chef and Cooking School Instructor with 25 years of experience in authentic Tuscan Italian cuisine. Whether you are a beginner, passionate cook or professional, they will personalize a program to meet your desires. Embrace the future with the awareness of what “food” is, how the world revolves around it, and profound cooking knowledge to attract job opportunities. Fax: +39 055 2346511Our project was born in 1980. Just after master in Philosophy, Moradei Andrea, founded Koinè, the Italian language and culture centre for foreigners, in collaboration with other teachers. This was the start of all our Italian language and culture programs. In 1996 we opened Enoteca de’ Giraldi, offering a cultural approach to Tuscan wine and food. The Enoteca was initially a wine restaurant then a meeting point for people interested in wine tasting, cooking lessons and wine tours. In 2003 we opened Vinarium wine and food services agency, with the goal of offering the best of our food and wine culture, and at the same time guaranteeing amusement and professionalism to our clients. Today Vinarium offers guided wine tastings in the best Florentine enotecas, cooking lessons in historical buildings and guided visits to the best Tuscan wine makers. Contact FormJudy Witts Francini, is a member of the Italian Personal Chef Association, the International Association of Culinary Professionals, a member of Slow Food International, and a student of cooking for over 30 years. She’s married to a native Florentine, Andrea Francini, whose knowledge of Florence provides Judy with valuable insights. Her blog, Over the Tuscan Stove, features weekly articles for those who want to keep current on Tuscany. She’s made her home in Florence since 1984. 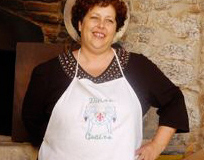 She started Divina Cucina (originally Mangia Firenze) in 1988 with a simple aim — to share her knowledge of Italian cuisine and culinary history with fellow food lovers in and around Florence. She’s lived in Florence among food experts and foodies, exchanging ideas and recipes, and developed her own style, one that is easy-going and entertaining. That’s the Divina Cucina style! The Tuscans know how to prepare simple food from quality local ingredients. They make the most of regional and seasonal produce. That’s why her classes begin in the Mercato Centrale or other markets where purveyors provide the best from the Tuscan countryside. Let her show you the secrets of Italian cooking and a way of life that she’s come to love. Come and enjoy Tuscany like the Tuscans. Welcome to the Scuola di Arte Culinaria Cordon Bleu of Florence, located in the heart of historical Renaissance Florence since 1985. 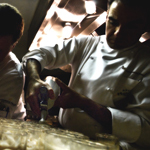 The Scuola di Arte Culinaria Cordon Bleu of Florence offers cooking courses as well as single classes/lessons for professional and amateur cooks, chefs, tourists and children. Italian, Tuscan, Florentine and International cuisine classes are available, along with special courses on wine, bread, pasta and more. The lessons are available in Italian, English, or French and given by our founders, Cristina Blasi and Gabriella Mari, plus a variety of other chefs and experts. APICIUS firmly believes in the importance of a cultural approach to hospitality by examining the unique context of cities and countries in a global framework. Hospitality should and must be enhanced by the local culture of a city, and our position and interaction with the city of Florence has the goal of culturally educating those who visit through the hospitality industry. APICIUS is deeply committed to making a prolific vital impact on the city of Florence not just for its obvious touristic aspects but as a viable city, where city conservation and contemporary implementation complement each other in a delicate balance, through its belief in eco-sustainable methods and didactics. For over ten years Le Baccanti has provided the finest service in customized luxury cultural food & wine vacations and day tours in Tuscany and Italy. Our personalized services are recommended by BBC Travel, The Independent, Le Monde, The Telegraph and scores of satisfied wine, food and art lovers. Courses include culinary art and Italian home cooking, in addition to painting and drawing, interior, product, graphic and fashion design, leather working, jewelry, restoration, ceramics, glass work, cooking, and Italian language.The Maestro’s mission was to enlighten young artists with a blend of classical and the latest ultra modern techniques, challenging each student to fully develop their artistic potential, creativity, and originality. Situated right in the heart of historic Florence, literally feet away from the Cathedral, the school is dedicated to teaching Italian language and culture. Because of its fantastic location, AEF participates actively in the city’s diverse cultural activities, creating an atmosphere of spontaneous and pleasant interaction between Italians and foreigners. We offer courses in wine appreciation, Italian cuisine and restaurant internships as well as ceramics and refurbishing, Italian language, arts, music, food and culture courses. For those who love Italian cuisine, Centro Machiavelli offers various types of courses and classes, for beginners, intermediate and advanced in groups (with a maximum of 10 participants) or individual. The courses are held by professionals from the wine and food industry and in an environment which is professional yet friendly and located at a short walk from our school. It is possible to prepare a complete menu or to prepare first courses, second courses or side dishes. Furthermore participants can choose to do single theme courses, like wine or breads.